Despite missing our connection in Frankfurt, my mom and I were able to confirm seats on an evening flight to St. Petersburg, Russia. And when we landed, we breezed through passport control and into the cabin of a black BMW with wi-fi, listening to Radio Hermitage en route to the Four Seasons Lion Palace. Our first trip together was fourteen years ago. 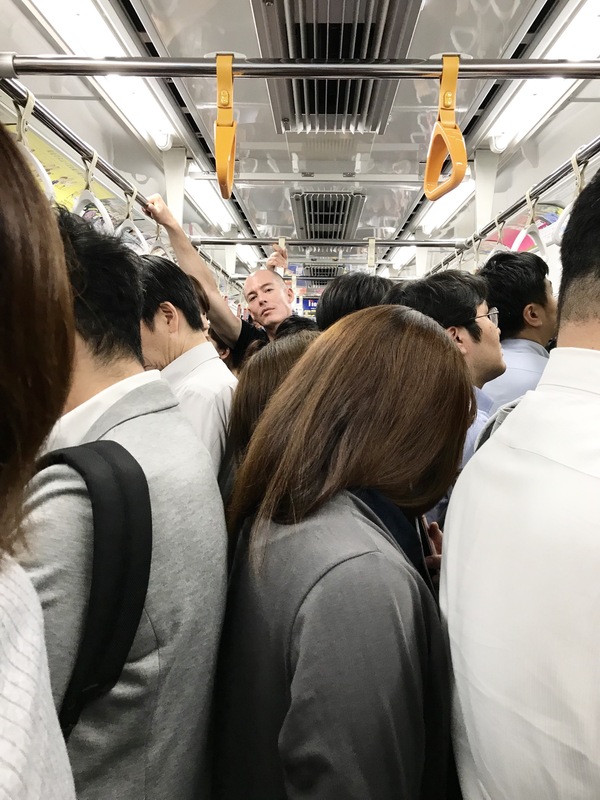 I’d been overseas for almost three months, and the last stop was Japan. It was my first time in Japan, and my mom met me there. We ate our way from Tokyo to Hiroshima. Along the way, we even managed to stay in a monastery on Mt. Koya, where I rolled under a wall and went for a jog, at midnight, through a Japanese cemetery. Our second trip was five years later. We rode a camel around the pyramids of Giza, saw the mighty Temple of Karnak, and, later, dined at the Burj Al Arab in Dubai. My mom, whom Twain might describe as part-woman, part-girl, is youthful and spontaneous while remaining sophisticated and interesting. We flew from LAX to SFO, SFO to Frankfurt, and Frankfurt to St. Petersburg. 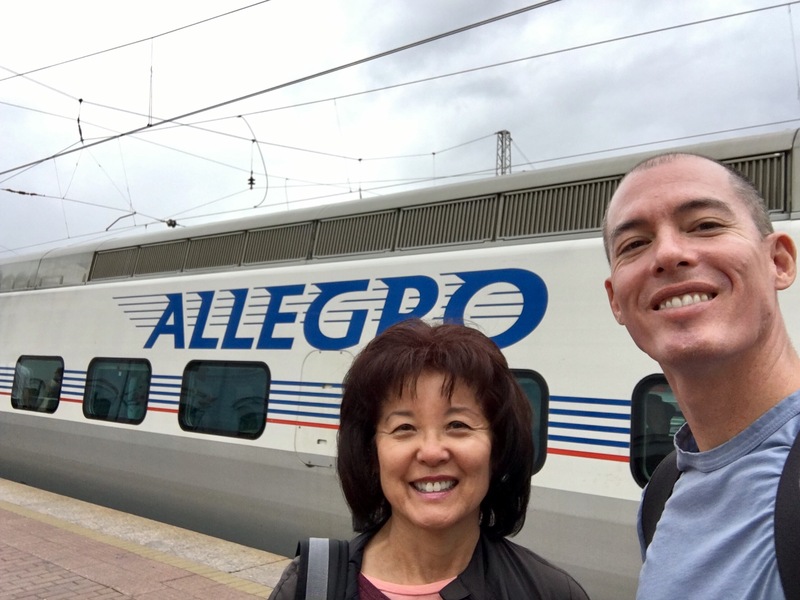 If we were paying for our airfare, we could’ve removed the LAX-SFO leg, but since we were flying on points (in Business Class and First Class), we didn’t mind the extra flight. Upstairs, aboard the United Airlines 747-400 “Queen of the Skies,” from SFO-FRA (Business Class). It’s just so much sweeter when you’re flying on points. My mom loves to travel. So when she suggested we go to Russia, I pushed all my chips into the pot. We redeemed points for award seats (contact me if you’d like assistance with this), and since we’d saved quite a lot of money on airfare, we decided to splurge on hotels. As our driver pulled up to the curb at the Four Seasons, around 10:30 p.m., we were greeted by the first of many palaces we’d see in St. Petersburg. Just beyond the foyer in the Four Seasons Lion Palace. St. Petersburg, considered the cultural capital of Russia, is Russia’s second largest city. It didn’t “feel,” though, like the Russia I expected. Close your eyes, forget that you’re in Russia, and reopen them—you’d think you were in Vienna, Florence, or Amsterdam. This was reinforced the next morning as we walked along Nevsky Prospect, home to much of the city’s shopping and nightlife. Russian Orthodox Cathedrals abound in St. Petersburg. We met up with a guide who brought us to many, two of which were most memorable. The Church of the Savior on Blood showcases the largest collection of mosaics in the world. I don’t typically find myself impassioned by cathedrals, but the inside (pictured above) of St. Isaac’s is stunning. The next day brought Catherine’s Palace, located approximately 18 miles from St. Petersburg. The former summer residence of tsars reminded me of Versailles or the Vatican (on the inside), but the outside was ornate and majestic. Not only did the palace offer a feast for the eyes, but the grounds were lush, green, and extensive. There was even a hermitage and a private lake! A hermitage (a smaller, remote residence) was located on the grounds, away from the palace. Evenings in St. Petersburg are special. The sky remained fairly light until 10:00 p.m., and so many people were out, making music, listening to music, strolling with lovers, walking with family and friends. Our favorite sight was The Hermitage Museum, which houses the largest collection of paintings in the world. The Hermitage Museum is in the Winter Palace, and each night we’d walk through Palace Square, marveling at its beauty. 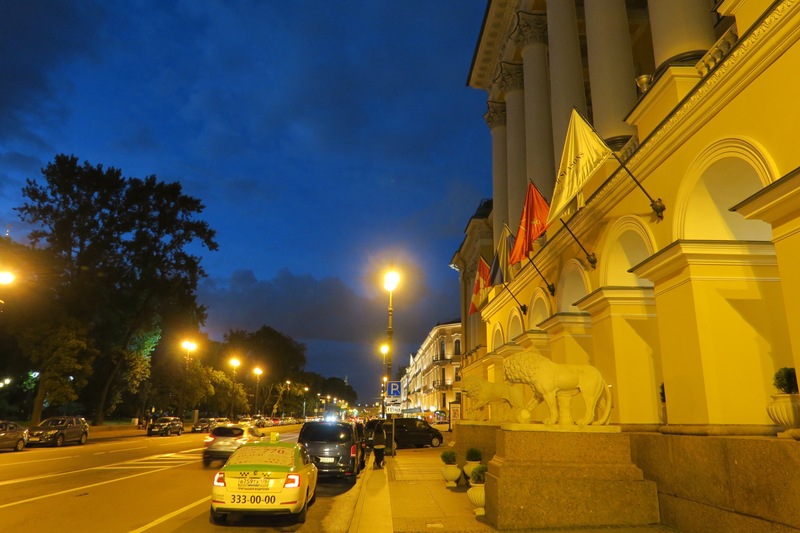 On two nights, we enjoyed this stroll after dining at Katyusha, a lovely little restaurant located on Nevsky Prospect. In addition to serving excellent borscht and caviar, on Saturday nights there is singing and dancing. For more videos from our trip, click here. 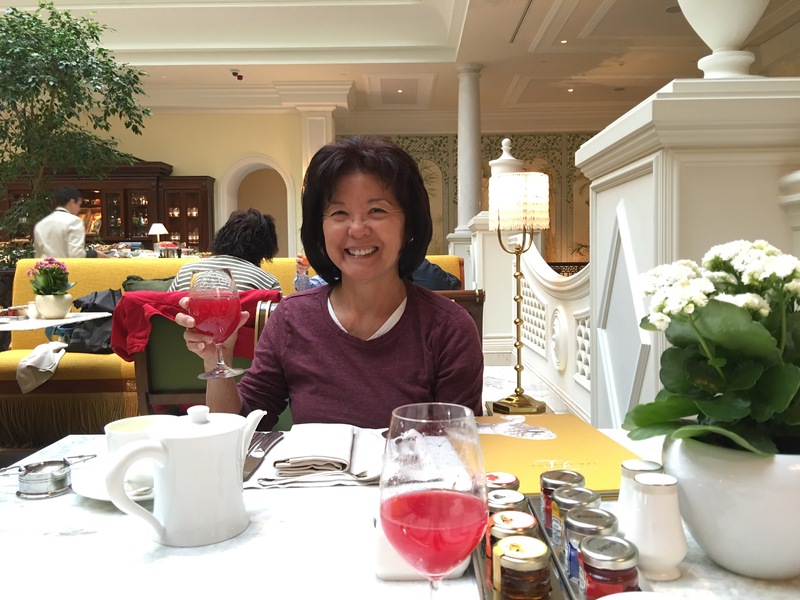 Our mornings in St. Petersburg began with breakfast at the Four Seasons. While I wouldn’t normally devote time to a hotel’s breakfast, the breakfast at the Four Seasons Lion Palace was an experience. Our server, Maria, would greet us by name, bring us the fresh-juice of the day, suggest various plates like the Croissant Eggs Benedict, Russian Pancakes, or Russian Omelet (pictured below). Or, she’d invite us to check out the buffet, whose highlights included smoked salmon, caviar, breads, cheeses, and pastries (like the ones pictured below). I suppose it’s what one should expect at a Four Seasons. Our server, Maria Ivanova, left us with such a great impression of the property and, by extension, St. Petersburg and Russia. It’s amazing how one person can make such a difference. 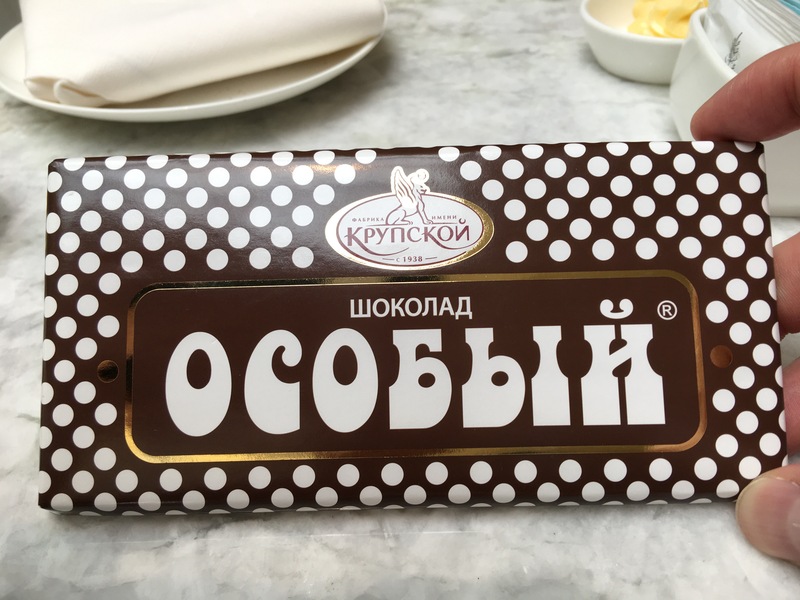 On our fourth day, not only did she offer to meet up with us in Moscow (as she was going on holiday to Moscow soon), but she gave us a chocolate bar (her favorite) that she bought on her own . . . not at the Four Seasons but at a chocolatier, or boutique, or grocery store. The point is, she was kind enough to think about us when we weren’t sitting at one of her tables. It was touching. On our fifth day in St. Petersburg, it was time to depart. We bid the Four Seasons adieu, and we found our way to the Finlandsky Station for our train to Helsinki. It was fun, St. Petersburg. We will miss you. Visa: Obtaining a Russian visa is a fairly laborious process. It’s, in fact, the most challenging visa application I’ve ever attempted to complete. In order to ensure that things went smoothly, we went through Allied Passport. They are efficient and reliable. Hotel: Four Seasons Lion Palace. Its location is brilliant (next to Palace Square), and if you book via Fine Hotels & Resorts, you’ll get a noon check-in, room upgrade, daily complimentary breakfast for two, $100 spa credit, and guaranteed 4 p.m. late check-out. Guide: We enjoyed our day tour with Maria Rose Tours, but the actual booking was made via Get Your Guide, as the Maria Rose Tours website was not as user-friendly as I required. It was my first time using Get Your Guide, but it proved reliable. (We booked a Moscow walking tour through Get Your Guide as well.) The name of the day tour we booked in St. Petersburg is the Full-Day Grand Tour. Our guide, Lida, was knowledgeable and passionate. She insisted that on the next day we book a tour of Catherine’s Palace. So we did. Restaurant: Katyusha, located across the street from Kazan Cathedral. *To get from Los Angeles to St. Petersburg, we redeemed 57,500 points apiece, and we paid $53.20 apiece. However, because our flight from SFO-FRA was delayed, United kindly gave my mom a $125 flight credit. They offered me a flight credit of $200 or 10,000 miles. Of course, I took the miles. **We left St. Petersburg via train to Helsinki, Finland. Do you want to know how we flew from Helsinki to Moscow (on points) and then from Moscow to LAX (on points)? Stay tuned for posts on Helsinki and Moscow. If you have any questions about how to redeem awards like these, feel free to contact me.